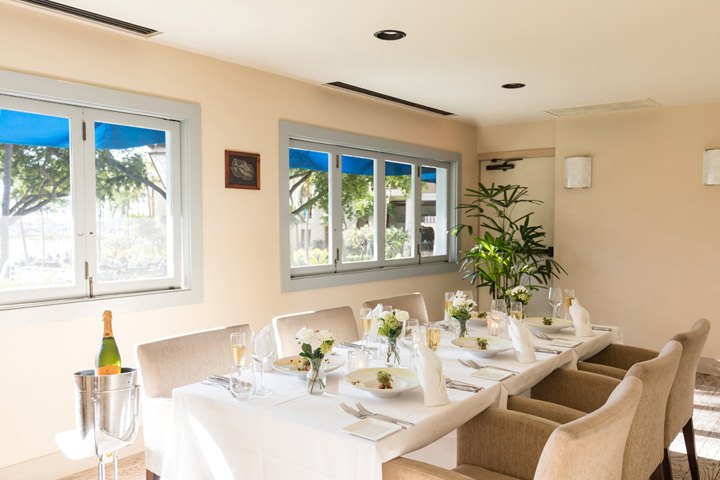 With special menus designed with your guests in mind and carefully lit view of Duke Kahanamoku Lagoon in our semi-private dining room, Fresco is perfect location for your next private event. Whether it’s a fine array of in house Italian wines or sparkling champagne paired with custom dishes, the assortment is sure to be memorable, artful and inspired by some of the best of Oahu. Reservations are available for engagement occasions, wedding showers,rehearsal dinners to business luncheons and dinners. Special prices and menus are available to accoommodate your needs. For more information please E-mail info@frescohawaii.com.